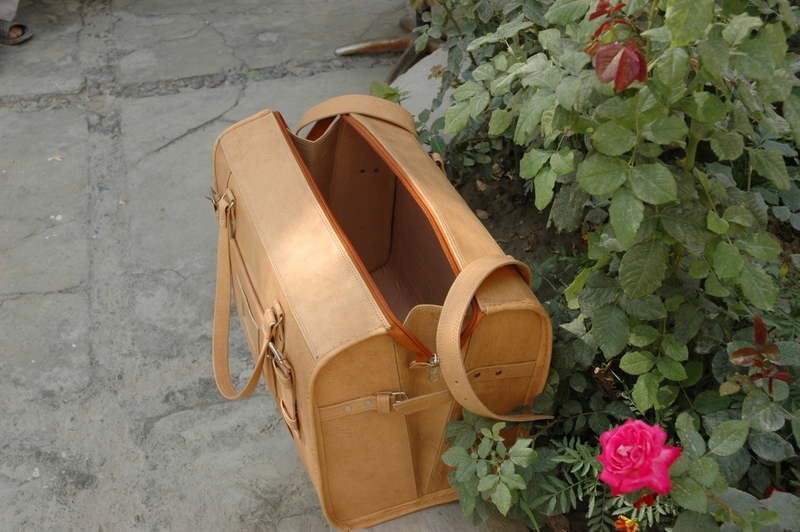 Traveller Classic Medium is a classical travel bag! 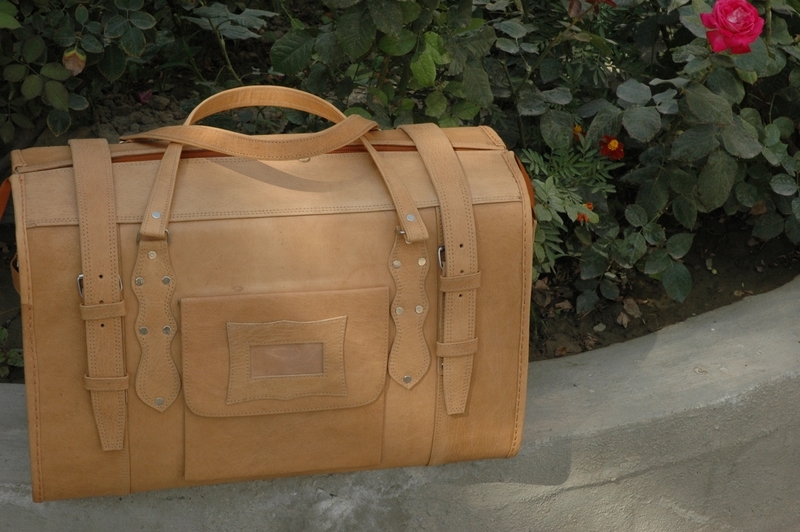 Traveller Classic Medium is produced from high-quality natural leather. 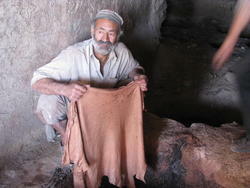 This leather gets tanned if exposed to light. You are ready to travel! 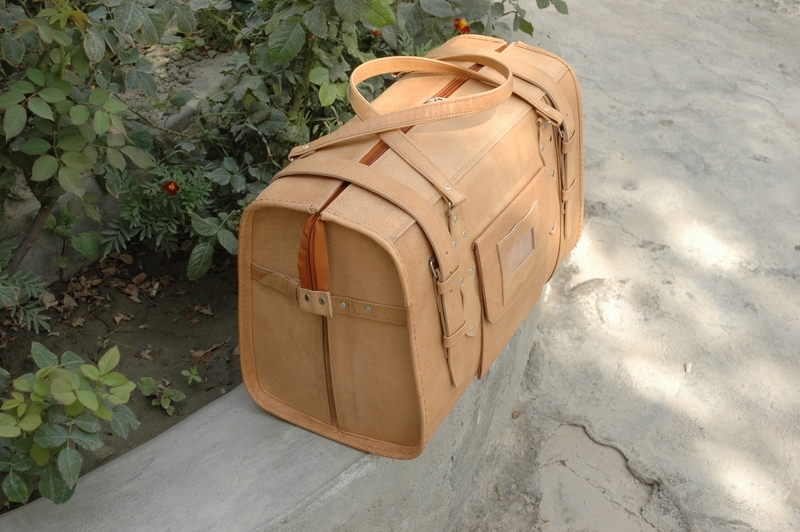 This travel bag is closed with a zipper as well as four straps and buckles. It has two handles. 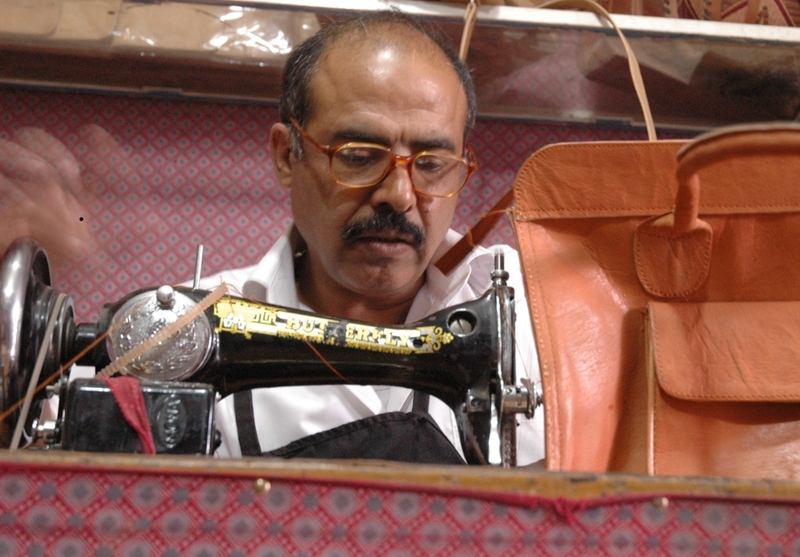 This leather bag is handmade in Kabul, Afghanistan. The leather darkens nicely with the time and becomes softer which is a sign of quality.